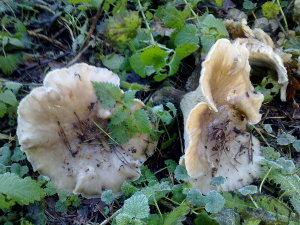 Observation - Unidentified mushroom - UK and Ireland. Description: Very large pale beige mushroom found in Norfolk woodland. Very large pale beige mushroom found in Norfolk woodland.